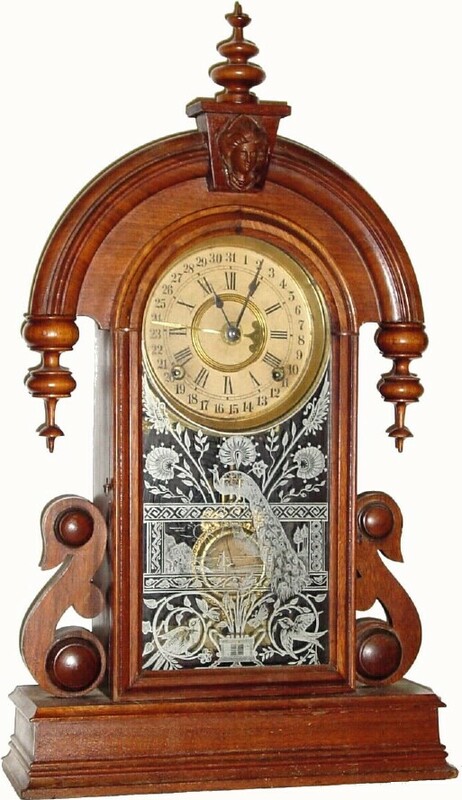 C.1880, Ansonia Clock Co., "Parisian" 8-day time/strike/calendar walnut shelf clock in very good original condition. The dial is a little brown from age, but complete with not tears. The retains a beautiful tablet and extra fancy Ansonia Indicator pendulum. Very minor nicks and scrapes here and there, but overall this is a great clock for the beginning collector. Height 23 1/2"